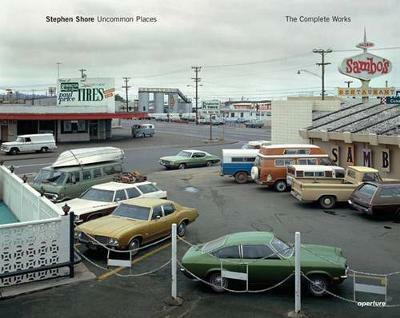 On any list of must-own photo books, Stephen Shore's 1982 classic, Uncommon Places, deserves pride of place. Shore, now 67, helped spearhead the use of color (once the exclusive province of advertising and fashion) in fine-art photography while documenting the American landscape, transforming the banal (diners, back alleys, ticky-tacky suburbs) into extraordinary tableau. Now the book is being reissued with 20 previously unseen images, as Uncommon Places: The Complete Works, giving you a eason to search for a collectible first edition on Amazon.--The Editors "Details "